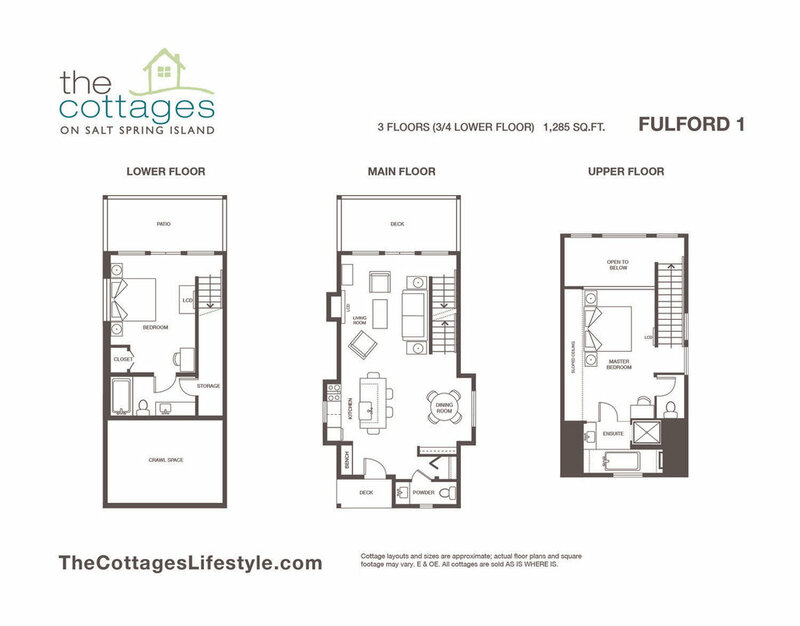 Cottage sizes range between 935 sq.ft. and 1650 sq.ft. 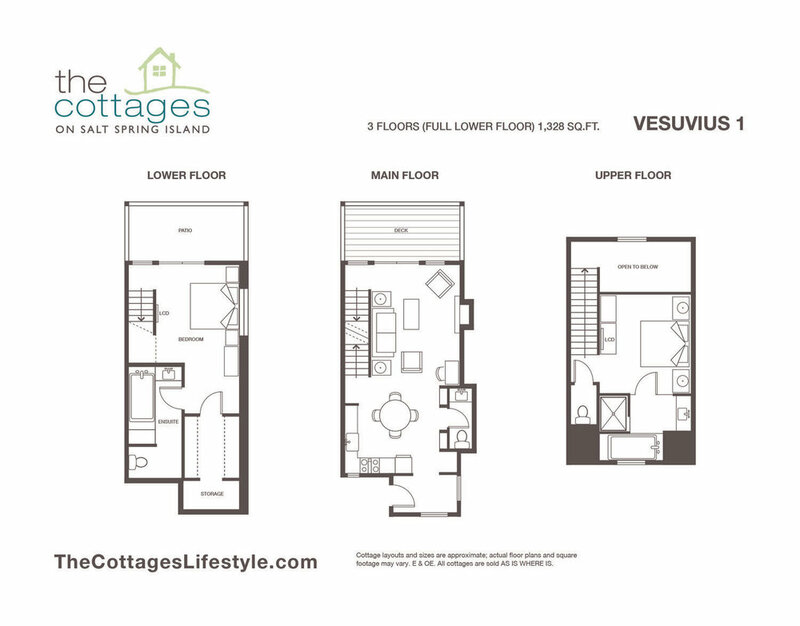 There are multiple floor plans available, with the option of two and three nicely-appointed levels. Open floor plans, many with vaulted ceilings. Fully furnished and appointed interiors (including furniture, bedding/linens, stocked with kitchenware and utensils). blinds are featured on all windows and roller shades are mounted on rear patio doors for complete privacy. 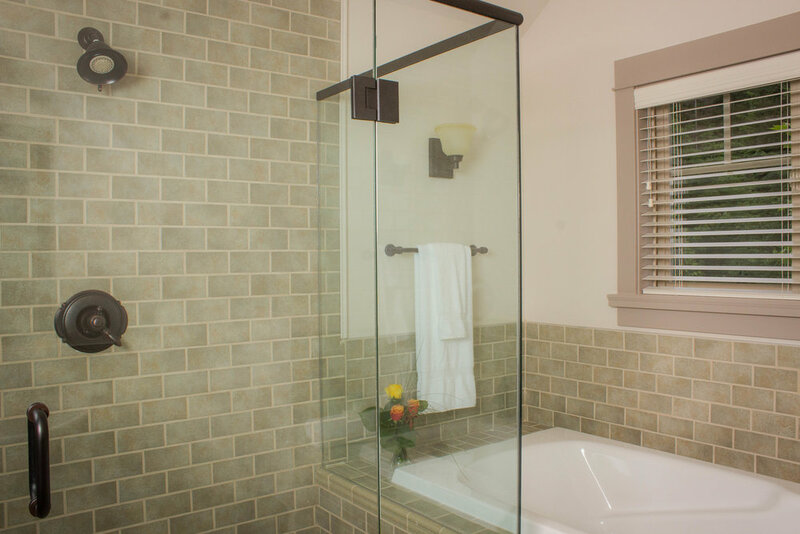 The craftsmanship of each and every Cottage provides proof of the care taken during the construction the resort. Carried in from the outdoors, the whimsy continues throughout the interiors of these wonderful cottages. 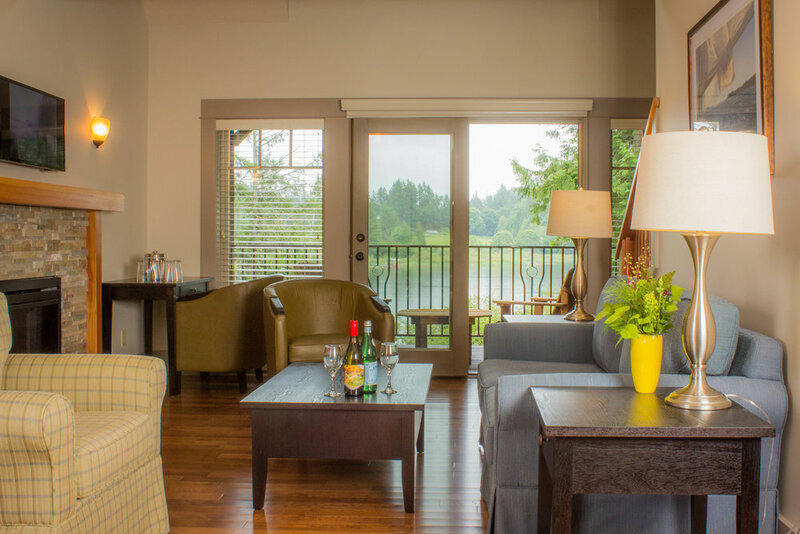 With a light and airy feel, there is a smooth transition from lakefront exploring to laid-back lounging in your very own resort-style Cottage. 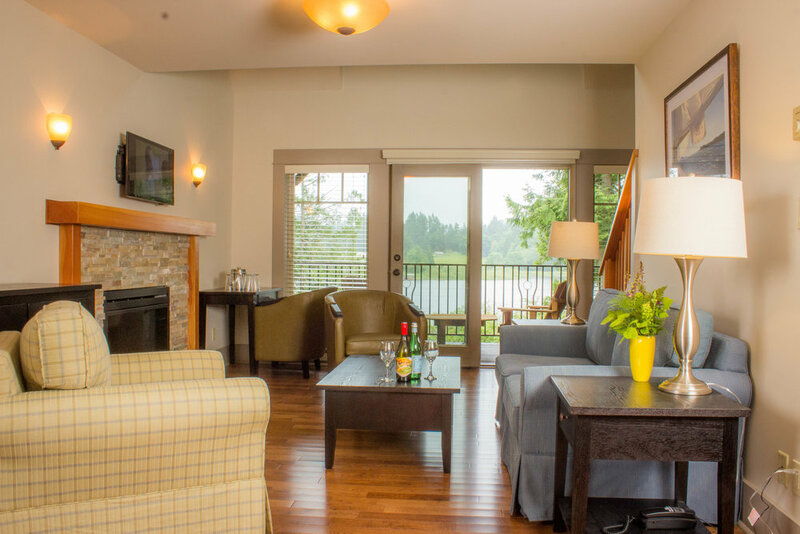 Fresh in summer and warm and welcoming in the winter, the Cottages offer the perfect base to entertain and just relax. Summer ferry trips are 1.5 hours, dock to dock from Tsawwassen and float planes arrive daily with a flight time of 15-30 minutes. Owners and guests enjoy it's beautiful natural landscape and wildlife. Because of the temperate climate, Salt Spring Island offers delights throughout the year and in every season. Your Cottage is fresh in the summer and cozy in the winter. Absolutely! In fact, every Cottage has a wonderful view of the lake too. Enjoy paddleboarding before dinner and a canoe around Bullock Lake afterwards. Yes! Dogs at The Cottages need to be well-behaved and under control at all times, but are very much welcome! 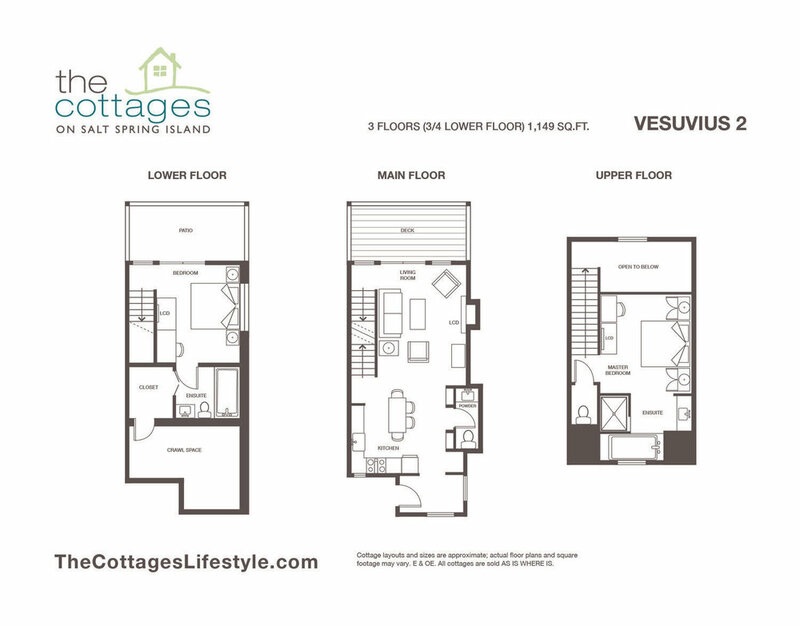 Cottage layouts and sizes are approximate; actual floor plans and square footage may vary. E & OE. 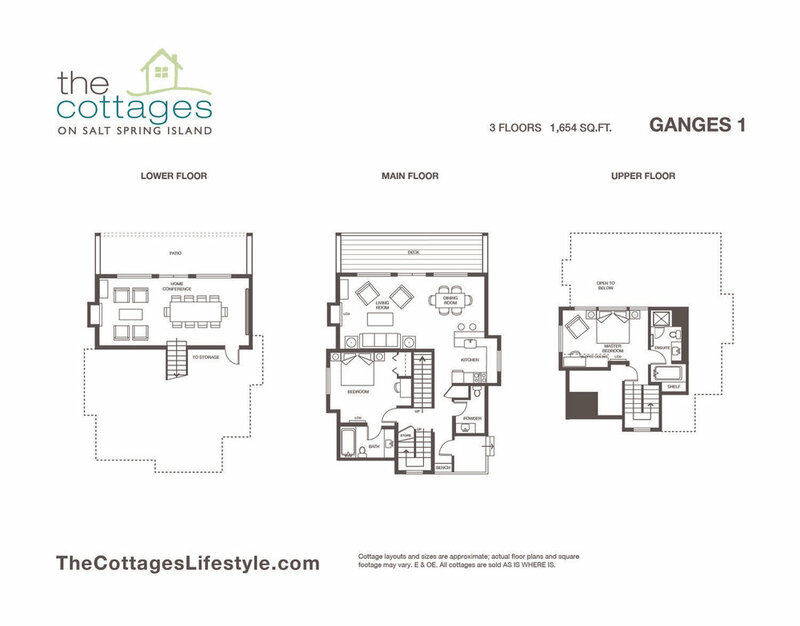 All cottages are sold as is and where is.